Congratulations are in order! Justin Bieber just becamse a big brother again when his dad Jeremy Bieber officially welcomed a new member of the family. Earlier this morning, Jeremy’s wife Chelsey gave birth to a sweet little girl named Bay, their third child together, and she’s absolutely adorable. She’s already stealing the Internet’s hearts in her little hospital beanie, and the Biebs’ fans are obsessed. “Meet the newest Bieber, my little sister BAY BIEBER,” Justin wrote on Instagram. “She’s beautiful!” cooed fans. And she definitely is with those chubby cheeks. It doesn’t hurt that she’s also following in the footsteps of some pretty gorgeous older siblings. Not only does she have her half-brother Justin, she’s also got her older siblings Jazmyn and Jaxon, who are also seriously cute kids. This is one good-looking family! We can’t wait to see how she grows up. But more importantly, we can’t wait to see Justin out and about with her. He’s already proved himself to be an amazing big brother, taking his lil sis Jazmyn shopping and tweeting pretty much constantly about how much he loves having little siblings. How cute is that? We’ll have to keep waiting for an actual picture of Justin and Bay together, but you know we’ll have our eyes peeled. 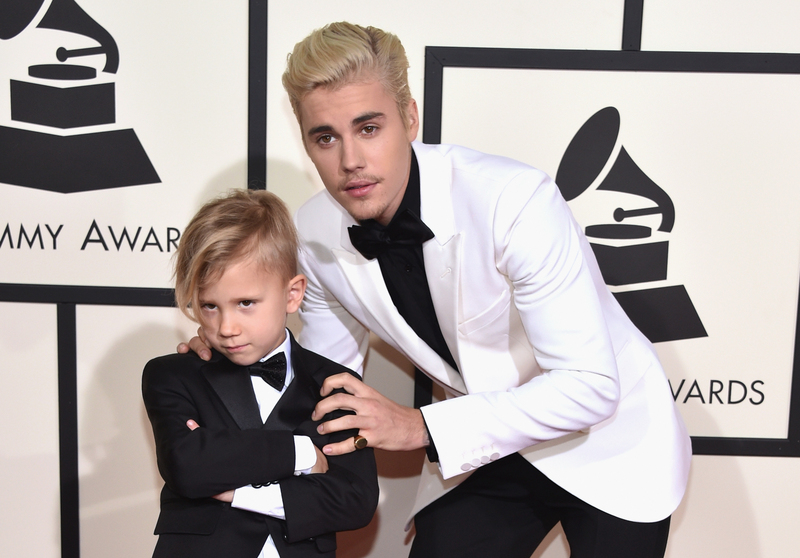 After all, if he and Hailey Baldwin are planning on starting their own family one day, they’re going to want to get some practice in. Babysitting duty, anyone?